YuppTV today announced the launch of its application on Microsoft’s XBOX360. YuppTV offers a world-class viewing experience with an extensive range of channels and unlimited Movies, Live TV, 10 days of Catch-up TV and TV shows available in 11 South-Asian languages. Launch of the YuppTV Application on XBOX 360 is part of its dynamic growth, uncompromising commitment and endeavor to reach out to television viewers across the globe. Its unparalleled offering of channels and vast collection of movies has enabled YuppTV to grow into the world’s leading over-the-top (OTT) content provider. YuppTV application which will now be available to viewers using XBOX 360, is poised to offer a global audience, the best value in entertainment. YuppTV’s launch on XBOX 360 marks another milestone of achievement for the 8 year old company. Its tie up with Microsoft is win-win collaboration for both the organizations. Microsoft’s globally acclaimed product Xbox 360 is a home video game console. 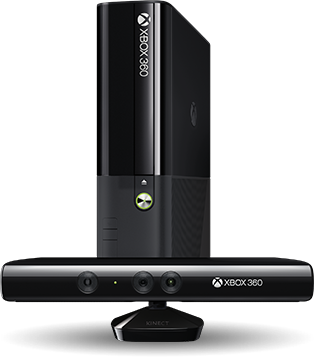 The Xbox 360 features an online service, Xbox Live, which allows users to: play games online; download games and game demos; purchase and stream music, television programs, and films through the Xbox Music and Xbox Video portals; and access third-party content services through media streaming application. Current and new customers of YuppTV can download the app for FREE from the XBOX360 marketplace. New customers can subscribe online at www.yupptv.com and authorize their XBOX 360 to view their favourite YuppTV channels. Speaking about the launch, Mr. Uday Reddy, Founder & CEO of YuppTV said, “It is indeed a landmark moment when the YuppTV application becomes available to over 84 million XBOX360s, I consider it a giant leap forward, for broadcasters, content providers and viewers alike; and we are just getting started in our relationship with Microsoft. The mission of YuppTV is to make it simple and instant for consumers to enjoy their favorite entertainment options on any device at anytime and anywhere in the world. With this launch on XBOX 360, YuppTV has enabled content providers to reach a growing customer base. YuppTV has grown into the world’s leading over-the-top (OTT) content provider for South Asian Content. YuppTV delivers more than 200+ Live TV Channels worldwide, 10 days of Catch-up TV along with Unlimited Movies, to the leading manufacturer of Gaming Consoles, Connected TVs, media streaming players, Smart Blu-ray players, PCs, Smart Phones and Tablets.